You should create a team if you have any group of insurance professionals that you regularly communicate with. A team can be as informal as a study group, or as structured as an organizational department. It's entirely up to you. The person who creates the team becomes the team administrator and is given a secure, computer generated code. The team administrator invites other team members to the team by sharing that code with other team users who in turn enter that code into their account. If, for any reason, the team administrator cancels his or her account, the first team member to join the team will become the next team administrator. If you sign up as a team user, you will automatically get your own team page that is in addition to your personal Lifester page. Your may also create a custom link or url for your team page such as teamname.lifester.com. 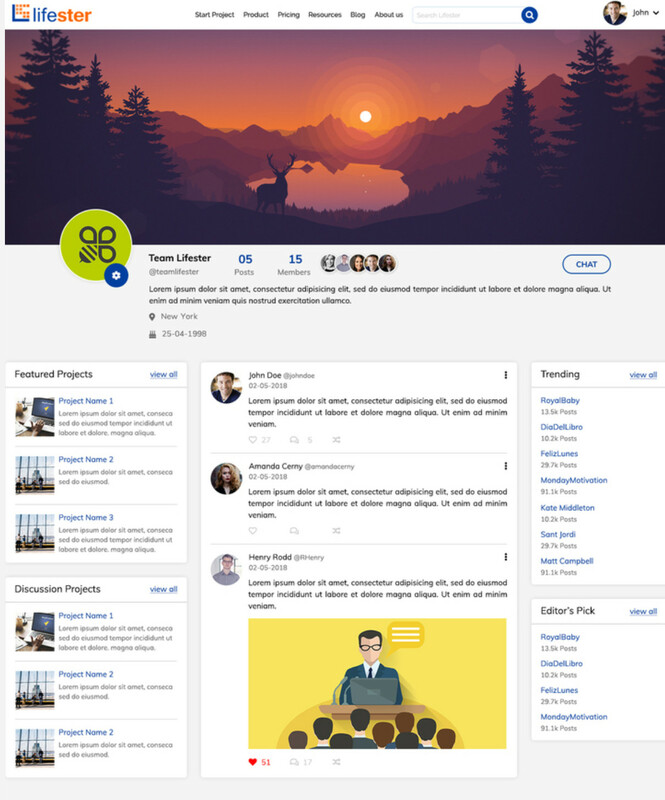 In addition, you can customize your team page by changing the cover and profile image, as well as the page info to reflect your team image. The Team page contains the aggregate of all posts of the members of the team, and categorizes them based on trends and tags. It contains no promoted Projects or Tags, but it allows the team administrator to manually promote certain Projects and unique tags from your team member pool. New posts are added to the Team page by posting on the respective members' personal Lifester pages. However, posts can be replied to, liked or reposted directly from the Team page. Team members may also chat with one another in real time, even if there is no ongoing Project. The Team page has its own chat space. Just press the "Team Chat" button to share messages, files and tasks directly with another team member, with private sub-group of team members, or with the entire team.